Himalayan White Salt Lamps are unique and hand carved using salt extracted from the foothills of the salt products the finest quality with the most captivating warm hues and glow seem to come from the Himalayas Mountains of Pakistan. Rock Salt Lamps come in several popular shapes that will transform any space and enhance your visual experience. Himalayan salt white lamp 2-4 kg. 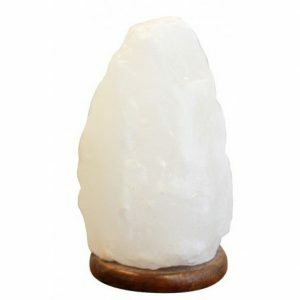 100% Natural Himalayan white salt lamp. Comes with 15 watt bulb and cable.